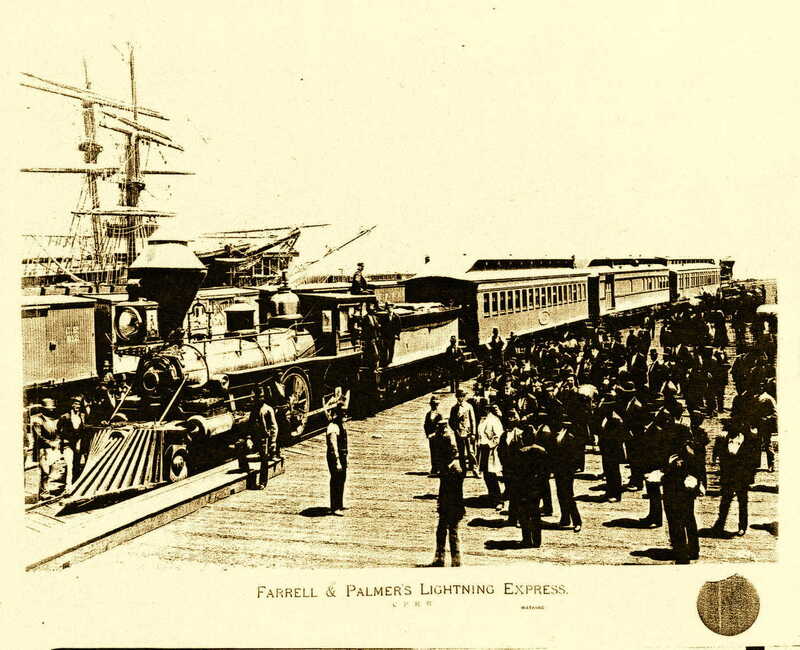 We all know the story about Central Pacific #149 (formerly Black Fox) pulling the Jarrett & Palmer special all the way from Ogden to Oakland without change. 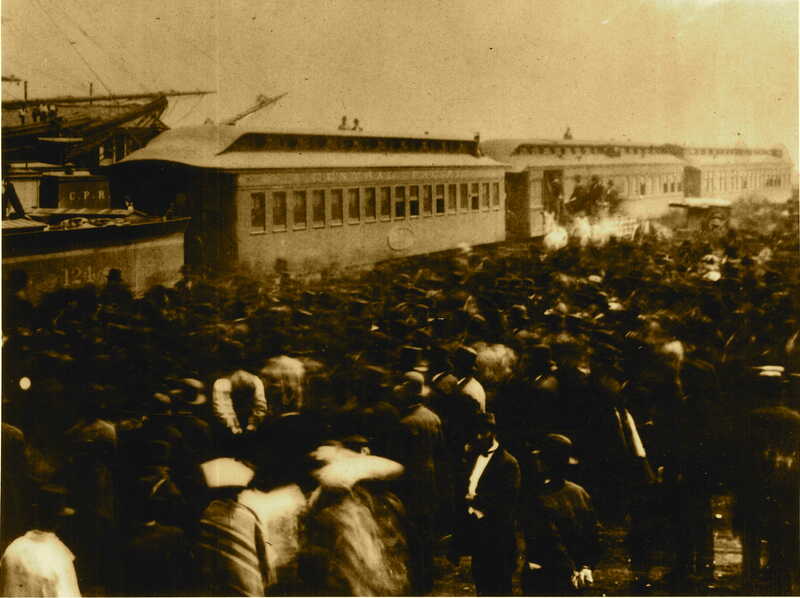 And we've all seen the photos at Wadsworth before the tender was repainted (but after the locomotive was repainted). And of course the photo of the crew and locomotive posed after the run was over. 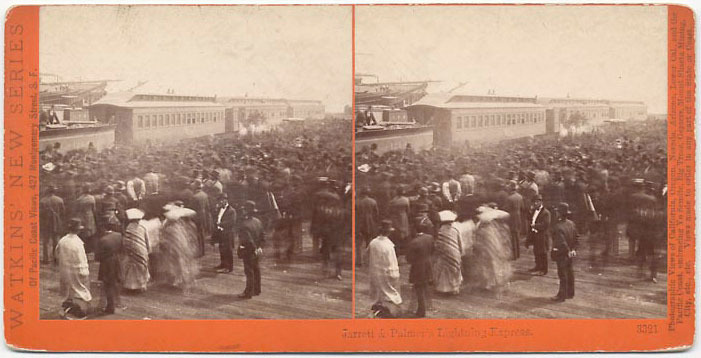 Then there is the Mammoth plate view of the train on the Oakland Long Wharf, and the more congested stereo view with the tender and train, but the locomotive cut off. So imagine my surprise when looking at a Gerald Best enlargement of half of the stereo card, when I notice the number on the tender - #124, not #149. And the #124 tender is painted in "modern" style. 1. 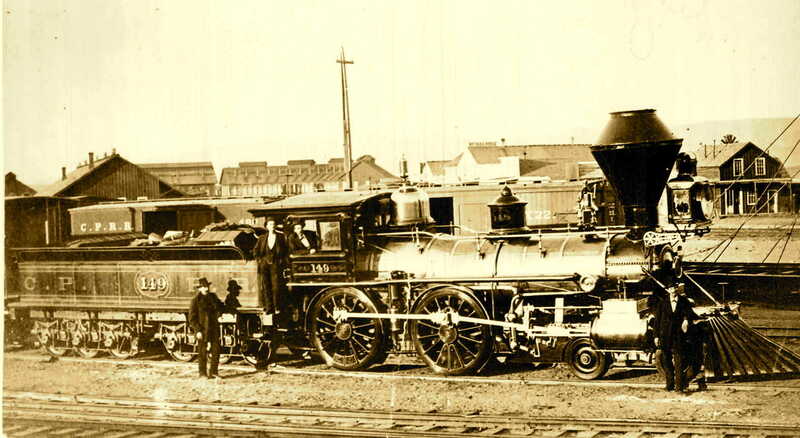 They swapped tenders for the run, using the tender of #124 behind loco #149, and then renumbered the tender before the photo with the crew in Oakland. 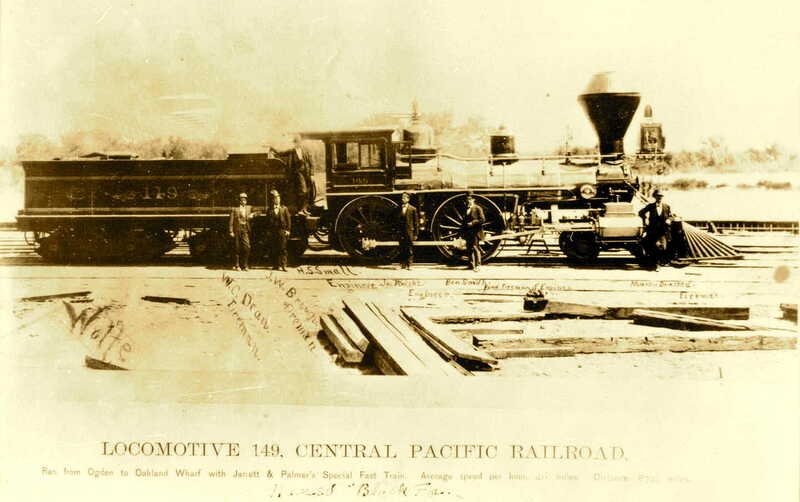 CP #124 is a Globe 4-4-0, not to be confused with the Schenectady #149 loco. 2. 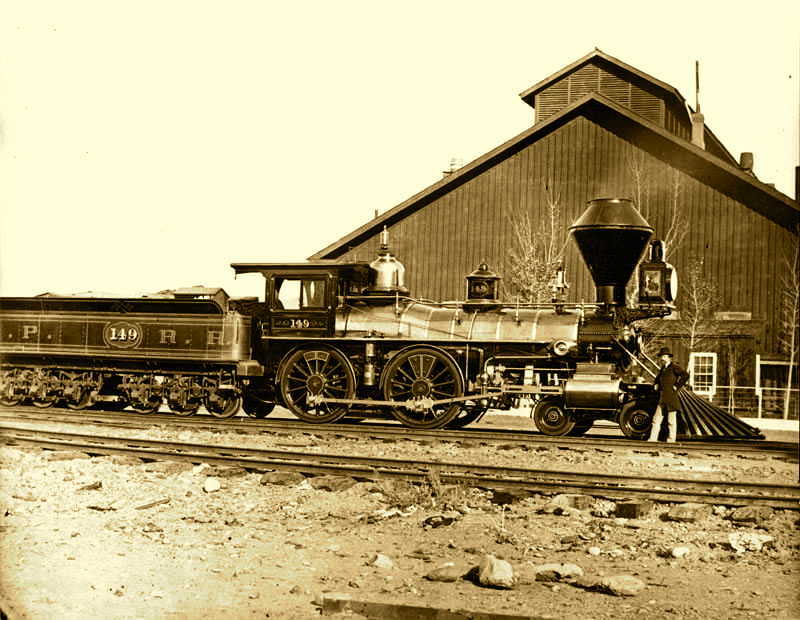 There is one stereo that I have not seen a print of - Watkins #3320, which shows the yard engine. Is the yard engine perhaps #124?